Dan Lyons can write a great narrative. He can also exaggerate. This story of Lyon’s time at Hubspot is as much of a page turner as you can get in business and startup non-fiction. It’s enjoyable. It’s easy to read. 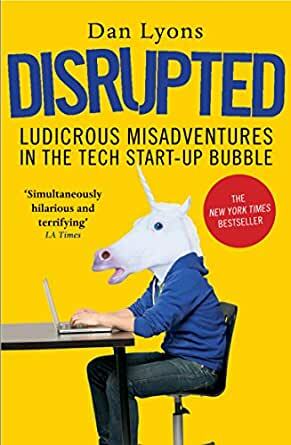 I've not often called a tech-oriented book a "page-turner" and "addictive", but I think they both describe Dan Lyons' book on his adventures at Hubspot. It's what happens with someone with old-school journalism skills chooses to take a job at a place that puts a higher regard on results than integrity. It's a massive culture challenge for him, of course, and it's on for young and old ... and this book would suit both of those audiences. It's a great read. Lyons is a talented writer and likes stirring the pot. As someone of a similar age to the author working in digital marketing, I can really relate to the issues raised in this book. Highly entertaining and worthwhile reading. Must read for people involved in the startup/tech scene. Dan Lyons sums issues up the issues, and is very funny at the same time. Great read! It confirmed that I wasn't the only one who has felt this way while working at a start up! Fascinating very entertaining story of an experienced well educated journalist working in a start up company who from the get go operate on the Peter Principle. The other indication of competence is an age less than that of the aurthor's possible children. Drgraham principle is that people get the children they deserve.